Martha Berry invites Dr. Henry H. Clark of Furman University to be the commencement speaker at Berry. 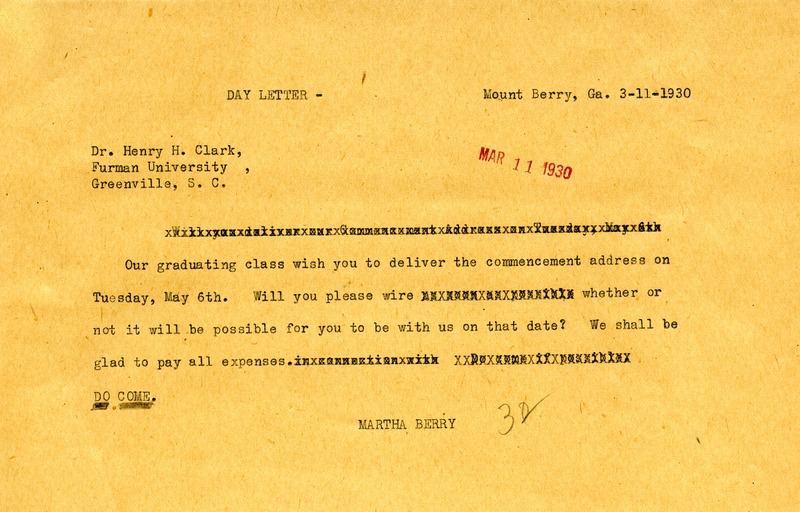 Martha Berry, “Letter from Martha Berry to Dr. Henry H. Clark.” Martha Berry Digital Archive. Eds. Schlitz, Stephanie A., Christy Snider, et al. Mount Berry: Berry College, 2013. accessed April 18, 2019, https://mbda.berry.edu/items/show/12124.